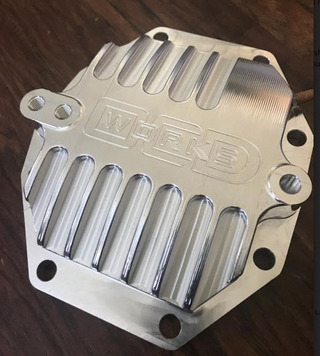 Brand new diff cover for sale!! This is an OCD Works rear differential cover for 6 speed Supras (220mm diff). We have one finished one here (no wait time for machining!) ready to ship right away, anywhere in the world! $775 includes shipping in the US, contact us for a shipping quote if you are international! Last one at this price! Please note this only fits the larger "B" series big differential on USDM 93-98 6 speed TT Supras, and JDM 93-96 6 speed TT Supras. May fit all TT (6 speed and auto) European spec differentials, though you should verify which one you have first.